Thomas Walter Grimes passed away September 7, 2018 at the age of 87. Cremation is in the care of Croxford Funeral Home and per his wishes no services will be held. Tom was born July 19, 1931 to Walter and Corinne Butler Grimes. He lived his entire life in Cascade, MT, graduating from Cascade High School in 1949. Tom married Barbara Spotts on November 7, 1956 and moved to the family ranch southeast of Cascade, where they raised their four daughters. Tom worked the ranch all his life raising cattle and Columbia, Hampshire and Suffolk sheep. He was active in the sheep industry and won many awards in sheep shows and sales. He was a member of the Columbia Sheep Breeders Association, Montana State Fair Superintendent and participated in wool shows around the USA. 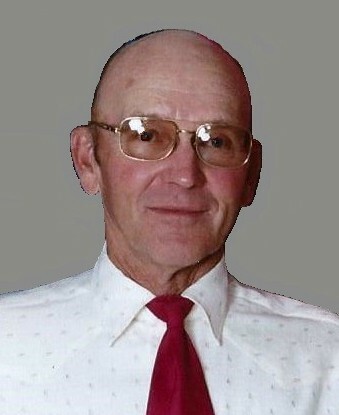 Upon his retirement from ranching, Tom drove school buses for the Cascade School District for many years and enjoyed going into town to play cribbage with “the boys” every morning. Tom is survived by his loving wife of 62 years, Barbara; sister, Marjorie Grimes Webb of Nampa, ID; daughters, Tammy (Ed) Scherman of Anamoose, ND, Kelly (Brett) Williams of Helena, MT, Leslie Grimes, Ron English of St. Cloud, MN and Rena Grimes, Rob Creel of Helena, MT; seven grandchildren; three great-grandchildren, plus a host of nieces and nephews. He was preceded in death by his parents and sisters, Helen Warehime and Alice Cobb.